National Golf Club’s Members enjoy casual and upscale dining options and a full social calendar filled with events and activities for all ages. TR's Pub is a great place to socialize with fellow Members, entertain business colleagues at a private table, or relax on the adjacent covered porch with spectacular course views. TR's Pub offers a menu of delicious cuisine and a full bar. 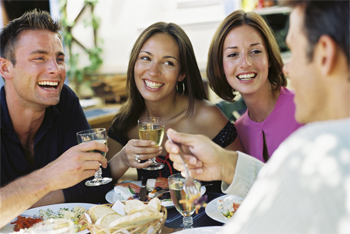 Members enjoy weekly specials including daily happy hour. 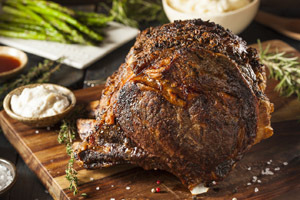 For a more intimate dining experience, the Main Dining Room accommodates up to 65 guests and is host to special Member events such as the popular Prime Rib Night. The Clubhouse features the elegant Grand Ballroom which can accommodate up to 220 guests ~ the perfect venue for weddings, charity events, corporate meetings and more. 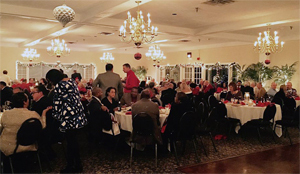 Grand Ballroom is host to major Member events including the festive Holiday Party, Mother’s Day Brunch and Member mixers. Members enjoy complimentary room rentals for their private events.